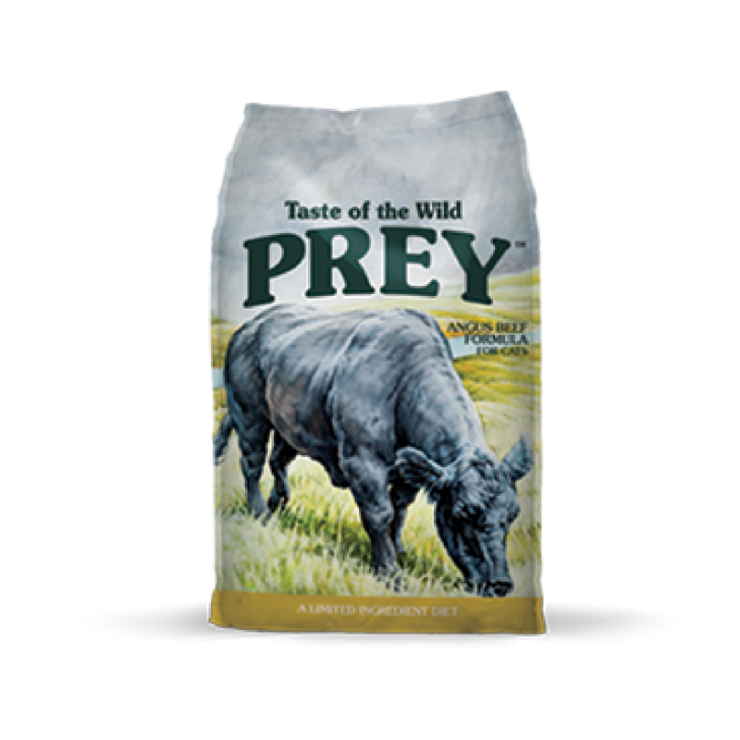 Taste of the Wild will fuel your feline with their Taste of the Wild Angus Beef Limited Ingredient Formula. Whether your cat has experienced food sensitivities or you just prefer to offer your pet a wholesome, simple diet, a limited ingredient cat food offers many benefits. This simplified recipe delivers complete nutrition with just three key ingredients, carefully selected vitamins and minerals, and guaranteed probiotics, which also help support digestion. 98% of the protein in this formula comes from pasture-raised Angus beef (55%) and lentils (43%), while sunflower oil delivers omega fatty acids and enhances flavor. Finally, this formula is free of grains, GMO ingredients, and artificial colors, flavors or preservatives. Pasture-raised beef is the #1 ingredient. No rendered meats or by-product meals.